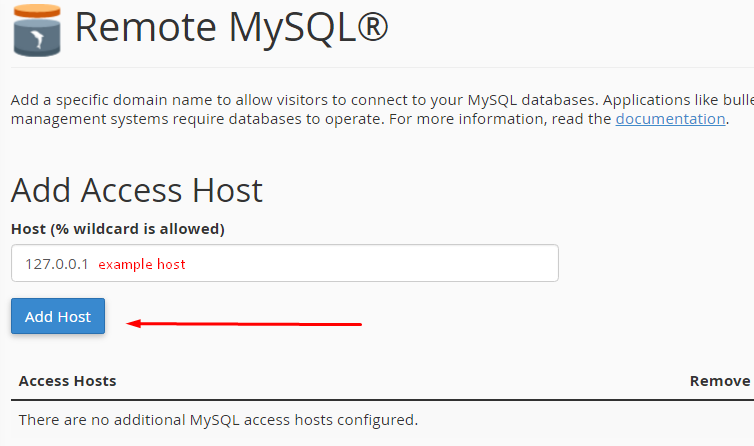 In this guide, you will learn how to use Remote MySQL feature that allows remote hosts (different servers) to access your MySQL databases on your account. This is useful, for example, if you wish to allow shopping cart or guestbook applications on other servers to access your databases. Access to your cPanel account. IP address or a fully qualified domain name that you want to have access to your MySQL databases. Access your cPanel using your login credentials. Afterwards, you will need to find the Remote MySQL feature, which is located under Databases section. Enter the host’s name (another website or server) or IP address in the Host text box. If you are trying to access your database from your local computer that is running an application you should use your public IP address that can be found here: http://whatismyipaddress.com/ . Or you can specify a domain name www.twitter.com for example. IMPORTANT! You may enter a fully qualified domain name (FQDN) or an IP address. Click the Delete icon next to the host’s name or IP address. 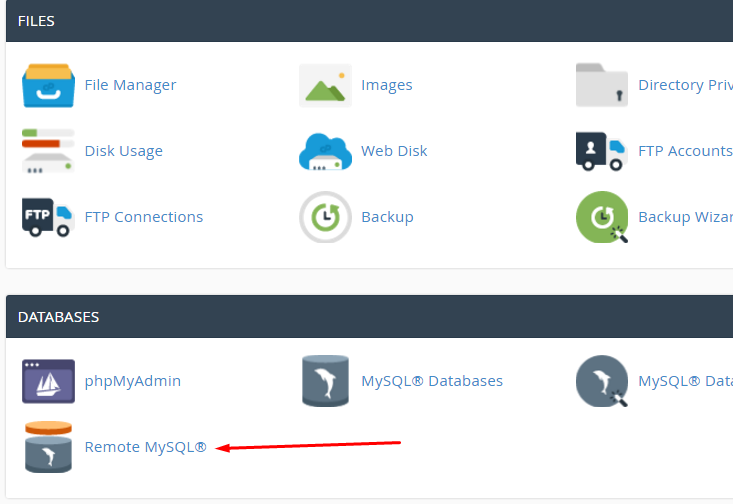 After following this tutorial you now know how to allow a remote machine(host) or a website to gain access to your MySQL databases and remove the access if needed.